When you uninstall applications with App Cleaner & Uninstaller, sometimes it shows a notification to remove an executable file manually. The reason is that such apps require special privileges. 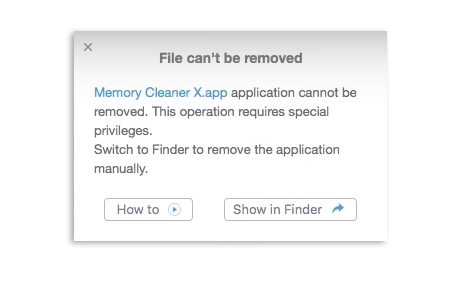 In this case, App Cleaner & Uninstaller removes service files (containers, caches, logs, etc), and asks you to switch to the Finder and remove the Executable manually. 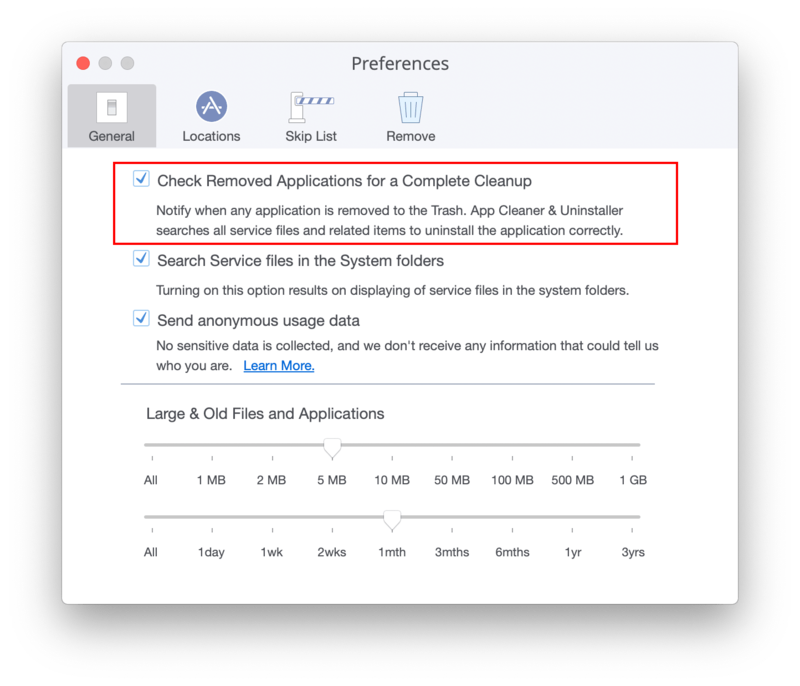 Let’s learn in details 2 ways on how you can uninstall applications with App Cleaner & Uninstaller. Select an application you want to uninstall. Remove all its service files. Then switch to the Finder and remove the application executable file manually. 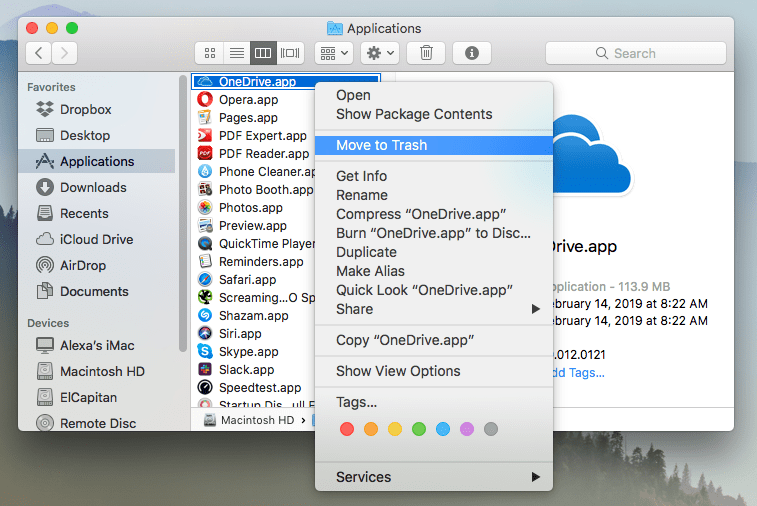 Go to Preferences and enable the option Check Removed Applications for a Complete Cleanup. After this each time when you move an app to the Trash, App Cleaner & Uninstaller will detect it and show you a notification. It will ask you to let it uninstall the app completely without leaving any trace. When the system notification appears, click the Complete Uninstall button. 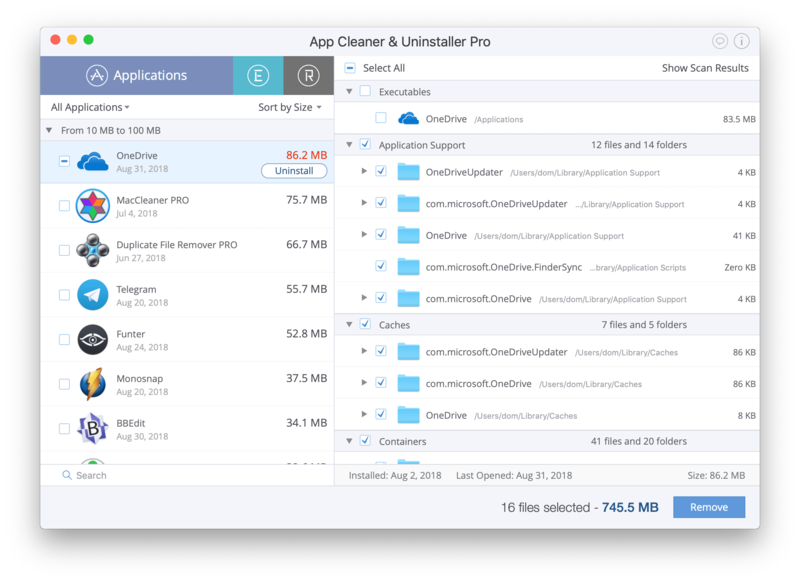 Then App Cleaner & Uninstaller will be launched, and the service files for deleted app will be selected automatically. Click Remove Service Files for complete cleanup.